Marie is under the pump! Her quarterly report is due on Friday, two of her departments are critically understaffed, and she has to run an induction for the new line manager who starts tomorrow. She has a lot of balls in the air and life for Marie is pretty stressful. Marie is in middle management, and how she handles all that stress will have a big effect on the company as a whole. Middle management are the stress barometers of any large organisation. They get cold, hard objectives from upper management and have to repackage it and help implement it to the workers at the coal face. It’s a difficult job, and their ability to handle the stresses of it will dictate the success of the organisation. To put it another way: Think of the entire company as a car. The workers are the engine, upper management are the steering wheel, and middle management are the suspension. Why is the suspension so important? The steering tells you where to go, and the engine gets you there. Why do we need suspension and why do we need good middle management? The road in today’s business is not a smooth one. Competitors are always coming at you, markets change, and companies need to be able to alter direction quickly. Just like your car’s suspension, middle management are the key to smoothing out the bumps and helping businesses take the corners at speed. To be good at middle management, you need to be able to absorb the stress from above and pass on the objectives and processes that’ll get things done. Poor middle management will simply get the stress for above and pass it onto the workers below. In a lot of cases, the adverse effects of that stress will be amplified. In a company with good suspension, the mid level managers will align the company’s vision with the work needed to be done and will convey the message with empathy and a clear direction of what is required. When done well, this type of leader will nullify the toxic stress and pass on the stress that gets things done. So what makes a good middle manager? How do middle management deal with the stress that comes with the territory? Control your expectations. If your boss is a self-centered narcissist, don’t get upset when he makes everything about him. Similarly, don’t expect every worker to treat their job as a divine calling and work as hard as you do. Putting unrealistic expectations on people is like premeditating resentment. It doesn’t do anyone any good and will just make you upset. Don’t play the blame game. There are no winners in US and THEM organisations. Blaming other departments or upper management creates a culture that destroys morale. Blaming is the easy way out. Learn to be pragmatic, change the things you can and accept the things you can’t. Doing this will decrease your stress levels and preserve the company’s culture. Make your actions deliberate. Stress is not going away anytime soon. 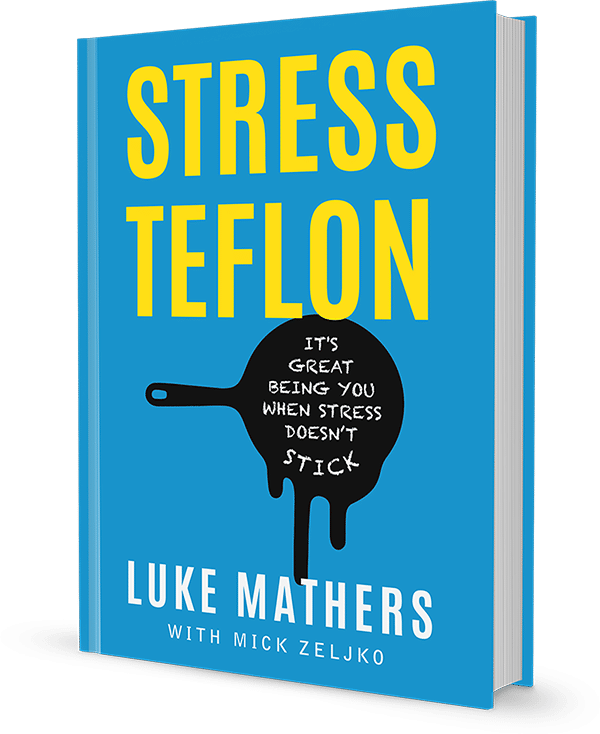 By reframing stressful situations as a challenge, you can make your actions a deliberate choice and not one that is born from a threat and just reacts to the situation. Seeing stress as a threat makes us defensive and dumb. Learn to sell both ways. An emotionally intelligent manager will understand how their actions affect the people above and below them. You need to learn how to convince yourself, and others, that the path you are taking is a good one. Part of selling both ways is giving credit to people with good ideas. A good manager will always try and find people with good ideas and recognise them when their ideas are implemented. Celebrate your wins. Inboxes are never empty, to-do lists are always being added to, and while we are constantly multitasking, it is easy to feel you are never getting anywhere. By taking a few seconds to acknowledge when you have had a win or completed a task, you generate “pride from contribution”, and that is one of the fundamentals of making stress non-stick. Keep improving. Any time spent learning and improving yourself is time well spent. Concentrate on learning to get better not just to climb the corporate ladder. Ask questions, be inquisitive and keep learning. Managers are there to teach others, but the best ones act like students and are constantly looking for ways to do things better. These six actions will not only help you handle the stress of middle management; they will improve your happiness, well-being and help you utilise stress to your advantage.